How could I have been a nonprofit museum director and not known #givingtuesday was a thing?? Alirighty, then. Given that I’m now on the board of a nonprofit, the Nebraska Bicycling Alliance, I will use my bloggy powers for good today and encourage you, my readers, to help support Nebraska bicyclists by purchasing a membership with (or making a donation to) the Nebraska Bicycling Alliance on #givingtuesday. NOTE: if you read this post after Tuesday, it’s certainly not too late to join or donate! All of the wonderful reasons to support NeBA will still apply! ALSO NOTE: Because NeBA is a new organization just getting off the ground, you have the rare chance through the end of 2016 to get in as a “Founding Member.” See the “become a member” link for details. 12. Your Nebraska pride is hurt by the fact that your state clocks in at #47 in bicycle friendliness. 11. You think encouraging bicycling makes sense from a public health perspective. 10. You think bicycling is awesome! OK – that is clearly not a picture of bicycling in Nebraska. But if you are a Nebraska cyclist who rides in the mountains further west, you’re probably training on Nebraska roads a lot. NeBA is working to make that a safer ride for you. 9. You think bicycling in Nebraska is awesome! There is some really great scenery to be seen from the saddle of a bike – particularly out here in western Nebraska. 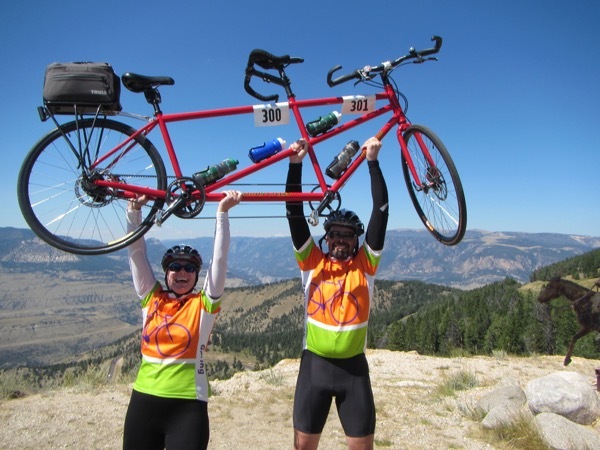 Joining NeBA is a way to connect with like-minded cyclists throughout the state. 8. 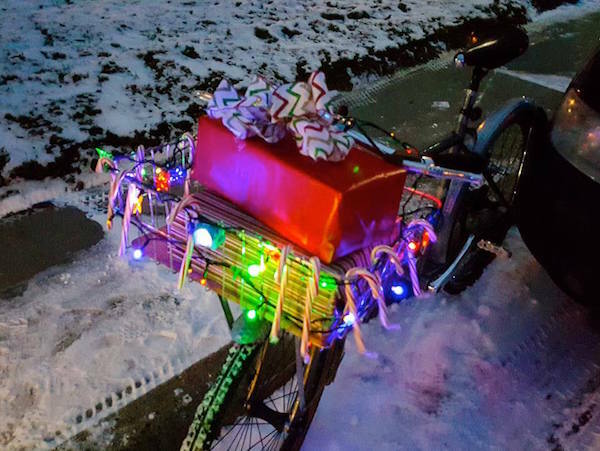 You need a gift for a hard-to buy-for Nebraska cyclist. This was in front of a restaurant on a mild spring day in Malmö, Sweden. Bicycles are a well-accepted form of transport there. NeBA’s goal is to make conditions safer and more pleasant for cyclists to encourage more Nebraskans to bike. 6. Bicyclists get your goat. OK, I will acknowledge that not everyone is thrilled with the idea of more bikes on the road. I believe that part of this reluctance has to do with the fact that Nebraskans who drive cars are not well-trained on how to move around bikes, and Nebraskans who ride bikes are not well-trained in best riding practices, either. Uncertainty about traffic laws and expectations create conflict. NeBA is working to make bicycling safer for everyone, which can include training for both drivers and cyclists on how to get around safely while sharing the road. 5. You think bicycling infrastructure in Nebraska doesn’t always get full consideration as a legitimate transportation mode. An image from a couple of years ago. Street clear. Sidewalk mostly clear. Bike lane? Snow-covered. By joining together as a united voice, NeBA members can help remind officials and workers with our state, city and county governments that bicyclists need room to move, too. 4. You think bicycling has huge potential to bring tourism dollars to Nebraska. 3. You’ve seen the data on the positive impact bicycling can have on the economy. More and more downtown districts are adding bicycling infrastructure, as in downtown Scottsbluff in this image, because study upon study shows the positive economic impact that can be had by shifting the focus of transportation down to a more human scale. A NeBA goal is to help share best practices for good bicycle infrastructure development and data on the economic impact of bicycling in Nebraska. (Further reading here, on peopleforbikes.org). 2. You need a tax deduction. NeBA is a 501(c)(3) nonprofit organization, and your membership dollars and contributions are tax-deductible. (To the fullest extent allowed by law. I put that in there because everybody’s tax situation is different.) Source of the sweet image of the Jackson-in-a-helmet: thebicyclestory.com. 1. You think bicycle transportation is a social justice issue. This is one of the biggest reasons why I personally want to improve bicycling in Nebraska. I got kind of angry when a Facebook friend recently shared a tongue-in-cheek job ad that listed all the reasons why people should not apply for that particular job, which included something like “if you have no car, or your car breaks down a lot.” OK, so if you are unemployed and can’t afford a reliable car, you can’t get a job to buy the car to get the job because you can’t get to the job? It’s a real problem for a lot of people in this state. In many of our communities, particularly rural ones with no public transportation options, if you don’t have a car (because you are young, poor, medically unable to drive, legally unable to drive), you will have a really hard time getting to work, getting to school, getting to the grocery store, etc. This makes me think of the hashtag #quaxing, created in a Twitter kerfuffle with an Australian politician who didn’t think anyone relied on public transportation or bicycles for everyday shopping trips. These are the “invisible cyclists” – not the ones wearing stretchy pants and neon colors bombing down the road, but perhaps like the man I saw leaving the Scottsbluff Home Deport with construction supplies balanced across the handlebars of his bike, or like the entrepreneur I saw biking through Terrytown, pulling a trailer filled with rakes and a lawn mower. NeBA seeks to be a voice for these “utility cyclists”, too – for people who rely on bicycles as a form of transportation. A Nebraska where bicycling is a safe and enjoyable part of the Good Life. You guys! I’m so excited! There’s a new, fun, family-friendly cycling event in town: the Candy Corn Grab! 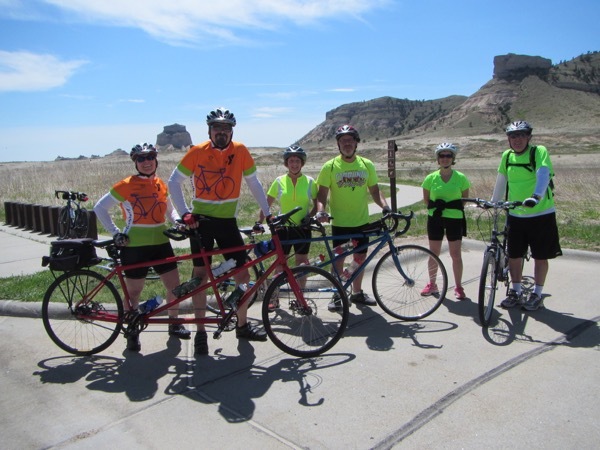 You show up before 11 a.m. on Saturday, October 31 in the parking lot of Caddie’s/Monument Shadows Golf Course in Gering (2550 Clubhouse Dr.) with 1-3 other cyclists to create a team. All of you must be riding bicycles, and all of you must be wearing helmets (and wear them the whole time!). Bring some kind of digital camera for your team as well. You will be given a series of clues about locations throughout Scottsbluff-Gering. Your objective: ride your bikes – together, as a team, safely, OBEYING ALL TRAFFIC LAWS – to as many clue locations as you can, keeping in mind that you must be back to the start line by 1 p.m. When you get to each clue location, take a digital picture of your entire team as proof you were there. The clue locations that are farther away are worth more points, so there is a strategy involved: ride to the faraway locations to get more points, or collect more proof pictures at the lower-value but easier-to-get nearby locations. At the end of the event, you will show your digital pictures to prove you properly scavenged each location, and you’ll be given pieces of candy corn for the points you’ve earned on your scavenger hunt. This is a great healthy family activity to burn off a few calories before the kiddos consume all the Halloween candy booty they’ll collect that night (or before the adults eat up the leftovers the day after). Here’s a scary on-the-road cycling situation Bugman and I encountered this weekend on which I’d love to get an opinion from police officers and expert cyclists. Were laws broken here, or was this bad judgement – on the automobile driver’s part, or ours? We were headed south/downhill on our tandem on the shoulder of W CR 38E, coming down off a ride along Horsetooth Reservoir west of Fort Collins, Colorado. The speed limit on that road is 40mph, according to the last sign I saw, but it drops to 20 mph around a couple of hairpin turns on the switchbacks. We were controlling our speed on the descent at around 20 miles per hour because of the unfamiliar terrain, and because we were sticking to the shoulder, which had a pretty good surface. Suddenly, Bugman braked, and I could hear the roar of a car engine. We suddenly had a high-speed car headed towards us just a couple of feet away. It was frightening to imagine the possibilities if we’d been out in the lane for some reason instead of on the shoulder. I wonder – did the Optima driver not see us? Or did they see us and decide to pass anyway? Was the Optima breaking the law by passing at that moment? 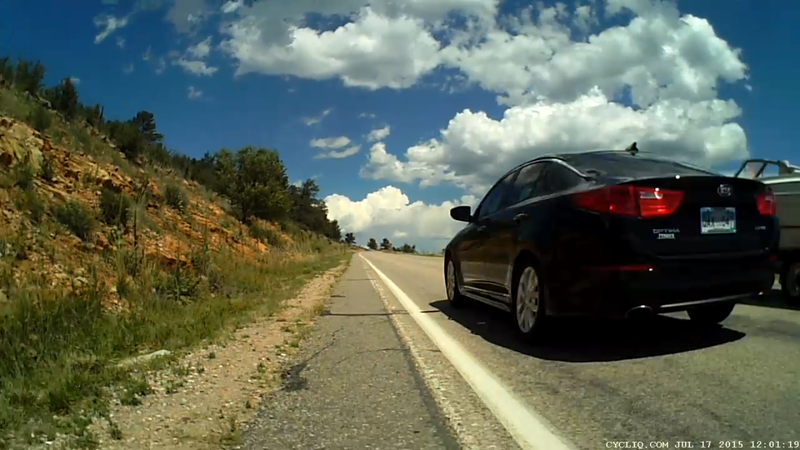 We might be able to measure from the video and show that the Optima was breaking the “3 feet to pass” law, but would that apply for an oncoming vehicle situation like this? Is it safer for us as cyclists to be out in the lane to be more visible as “real traffic,” and to force vehicles to wait to pass, or is it better to “stay out of the way” and keep to the shoulder? I just wonder if we’d be hurt or worse if we’d been out in the lane in this situation. I would love to see some opinions on what should have been done in this situation, so that hopefully cyclists and drivers can learn from this and avoid similar scary situations in the future.